before he spontaneously combusted. Hell is making it's move to betray a covenant with Heaven to take over the Earth. 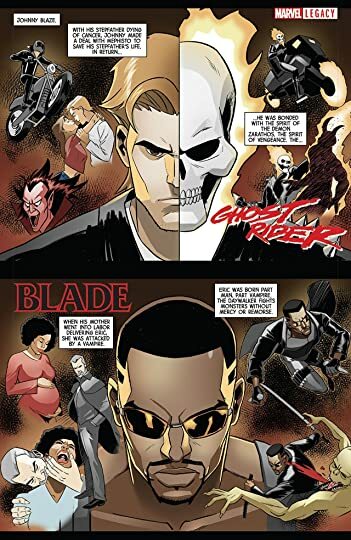 Hellstrom, Ghost Rider, Blade, and Satana must come together to save the Earth from Hell. 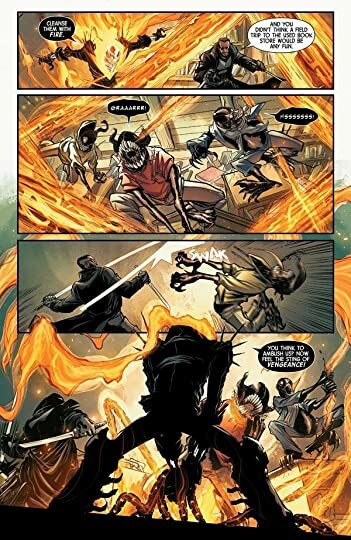 Despite looking cool Spirits of Vengeance was pretty generic. Predictable plot points, a rushed story, and characters who didn't need to be there, looking at you Blade, made the story uneventful. Seriously though Blade didn't need to be included at all. They probably could have done it without Satana too. Hellstrom and Ghost Rider did all the heavy lifting. I have to list the Spirits of Vengeance as a disappointment.